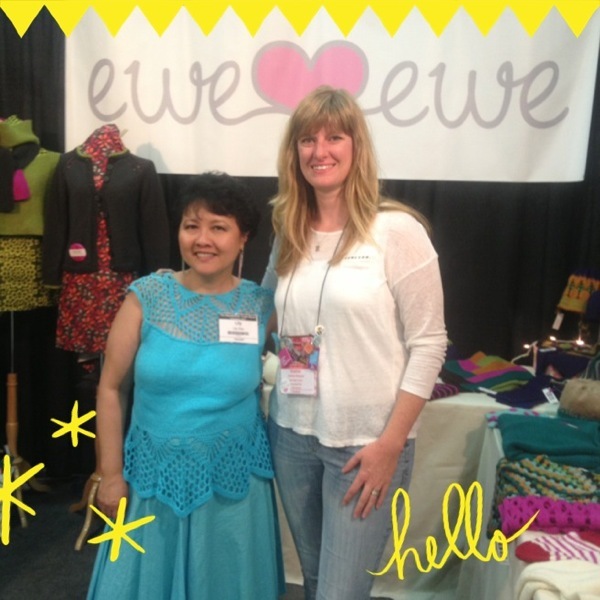 Lily Chin loves Ewe Ewe! Our trip to TNNA brought us a fun meeting with Lily Chin! Lily popped in to the Ewe Ewe booth to let us know that she had just tried knitting with Wooly Worsted yarn for a new design. How exciting! Lily said, "I love your yarn, it's so bouncy!" Thanks, we love it too!